Advice on developing your listening and reading skills. These Russian podcasts are some of the best for improving your Russian listening and speaking skills. 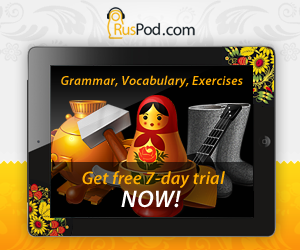 Each podcast covers a particular topic and teaches useful Russian words, idioms, proverbs and phrases. Full transcripts and MP3 downloads are also available. 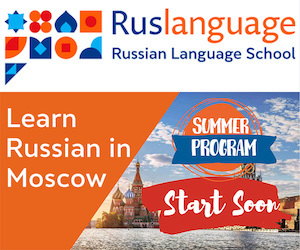 A basic course in Russian covering conversational and cultural aspects. From Richard Robin, Joanna Robin, Kathryn Henry. Read and listen to tons of dialogs in RealAudio format with new words explained. From Lora. This e-class is primarily for Russian students learning English. But it is still very helpful for any student learning Russian because you can hear the main characters, Valentin and Anastassia, speaking in Russian.